WESTPORT, Conn. - Feb. 11, 2018 - PRLog -- The Stem Cell Ophthalmology Treatment Study II or SCOTS 2 continues to publish results of the largest stem cell study for eye disease ever conducted in peer-reviewed medical and scientific publications. The quality of the journals is high with all of the SCOTS publications listed on the US government National Institutes of Health compendium of articles called PubMed. This is considered the premier listing for such journal articles. Once listed on PubMed, MD Stem Cells places the results on the clinicaltrials.gov website so that patients have access to the most recent information on outcomes. "We're very proud of the published results we provide to patients who are considering participating in our stem cell study" indicates Dr. Steven Levy, CEO MD Stem Cells and Study Director for SCOTS 2. "Patients should pay close attention to our positive and meaningful outcomes in important eye diseases. We are the only actively recruiting stem cell study in retina or optic nerve that has publications about actual study results listed on the clinicaltrials.gov site. " 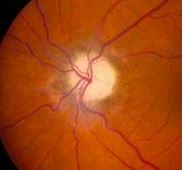 The most recent posting on the clinicaltrials.gov site is regarding an optic nerve problem called NAION or Non-arteritic Ischemic Optic Neuropathy. This is essentially a stroke of the optic nerve. The condition is considered the second leading cause of blindness from optic neuropathy – the first being glaucoma. SCOTS has achieved statistical significance in improving the condition which means that there is greater than 95% chance that the positive results are from the treatment. This is the gold standard for medical articles. In our paper 80% of patients experienced improvement in vision when using both eyes and 20% remaining stable with their vision; 73.6% of eyes treated gained vision with an average of 3.53 Snellen lines of vision improvement per eye. The average improvement was 22.74% and the maximum 83.3% in LogMAR acuity per eye. All results exceeded statistically significance meaning they met the medical gold standard for certainty that the treatment resulted in the improvements. See www.mdstemcells.com Medical Journal tab for exact figures. MD Stem Cells has submitted a highly positive journal article regarding Retinitis Pigmentosa (RP) which they hope to have published soon. The results are also statistically significant and demonstrate for the very first time that any treatment can actually improve the vision of patients with the disease. Patients can get a preview of those results on the website www.mdstemcells.com under Frequently Asked Questions (FAQ). MD Stem Cells manages the Stem Cell Ophthalmology Treatment Study II (SCOTS 2), a clinical study for retinal and optic nerve disease; the Neurologic Stem Cell study, a clinical study for multiple neurologic diseases; and the Stem Cell Spinal Cord Injury Exoskeleton and Virtual Reality study (SciExVR), a clinical study treating spinal cord injury and paraplegia. For more information visit www.mdstemcells.com and the Contact Us page.